Sonoma County is blessed with the most beautiful appellations anywhere on earth. The Carneros region is exceptionally blessed. 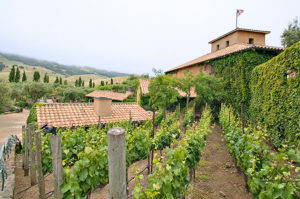 When visiting Sonoma Wine Country, make time to visit Carneros and plan on a Picnic at Viansa Winery. The views are fantastic. Escape with you and your loved ones to the Sonoma County Wine Country. Sent us an email if you have any questions, or to check availability.